These succulent beef ribs are so large, hence the name dino bones, they will not only fill your stomach, but your guests will be clamoring for the recipe. 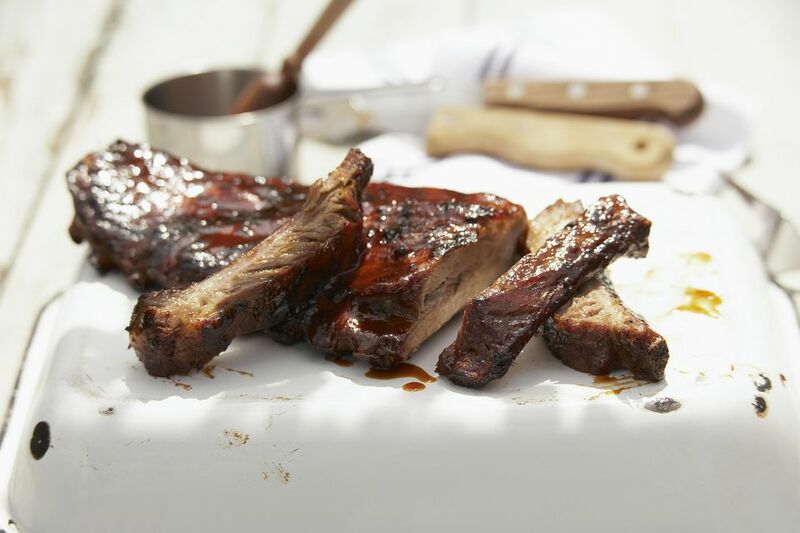 Give these giant, delicious ribs a try at your next cookout and brace yourself for rave reviews. In a medium saucepan, add olive oil, garlic, chipotle powder, and cumin. Allow to heat through while stirring, for 1 minute. Add red wine and brown sugar. Simmer for 2-3 minutes. Add in soy sauce, vinegar, ketchup, and Worcestershire sauce. Simmer for 2 minutes more. Remove from heat, allow to cool slightly before using.